A review in 10 words (or thereabouts) : A crime ring of strange criminals, and one angry young woman. 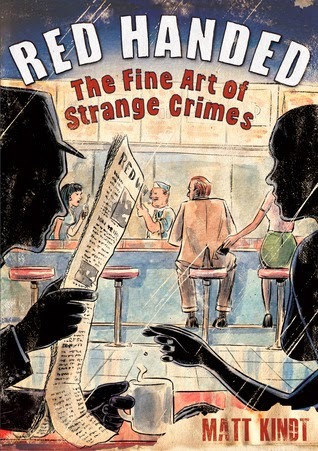 If you like a good who-dun-it or enjoy the Encyclopedia Brown books, hunting for the answer to the mystery, then you might just like this creative, interesting, beautifully drawn graphic novel a whirl. There's also a pretty spectacular conversation on the possession of art and morality. It was a bit confusing at times, skipping around a bit. There were quite a few characters and storylines to keep straight, but it came together relatively cleanly in the end. Overall, a decent read. If you're not into superheroes or "graphic" images, you might give this one a whirl. Matt Kindt's artwork is appealing, and his story is creative and unique.